Walk past the oldest building in Aarhus to its cobbled back courtyard and you’ll find Balsalen, a tranquil boutique space and one of the city’s many hidden gems. 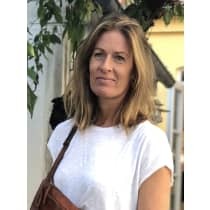 Passionate about unearthing beautiful home and lifestyle items, boutique owner Trine Nørgaard describes Balsalen’s aesthetic as 'Nordic Boheme', citing Scandi design and artisanal homewares as her main influences. "The atmosphere in my boutique is totally unique and customers enjoy the peaceful atmosphere when they come here. In that state of mind, I think it is easier to make a personal and heartfelt decision when shopping for your home."